We Can Help You Stay Safe. Security7 Networks mixes over 20 years of experience in the cybersecurity industry with revolutionary technology from our trusted partners to deliver a response first approach that will keep you up to date with all of your industry-specific compliance and managed services needs. Security7 Networks can help you stay ahead of cyber-attacks by providing a real-time information security solution. 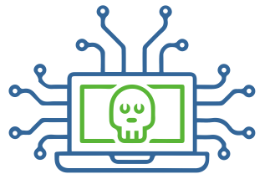 Unlike traditional, reactionary approaches, our intelligent, real-time information security solution immediately strengthens vulnerable technology and offers multi-layer data protection across your entire IT ecosystem. We're Awesome! Our Customers Absolutely Love Us! But don't take our word for it. Let our customers tell you why they've chosen Security7 Networks to be their MSSP. "(Security7 Networks) provided us with a secure environment that runs efficiently and effectively." "Bob, Ray and the team are super responsive and have never let me down!" Our cyber-security partners are ahead of the curve and make the tech we use everyday.